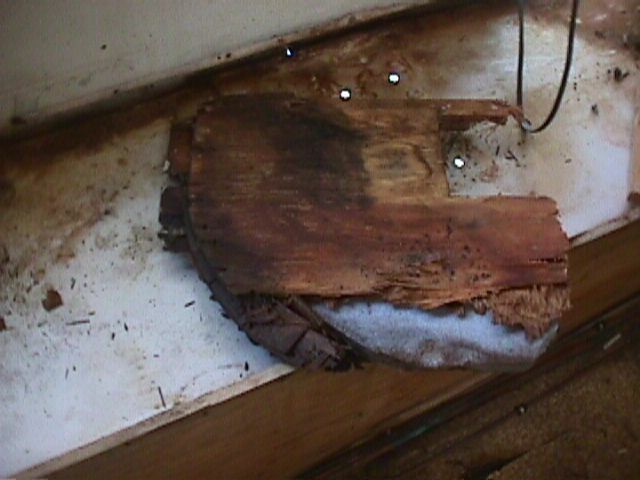 I started by removing most of the right side in order to get to the rotted wood in the wing. Missing rivets in the roof had let in water over a long time and rotted out much of it. 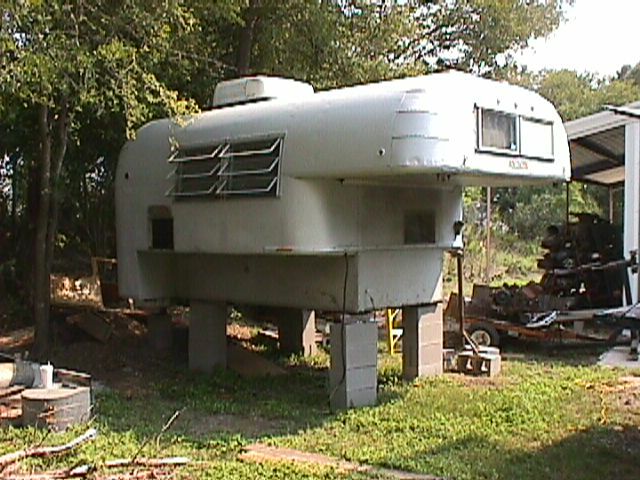 It's now sitting at a friends house where it'll get the basic structural work done. I need to replace all the wood in the "wing", and some of it goes beyond the wall between the cabin and shower, so it's out for now. 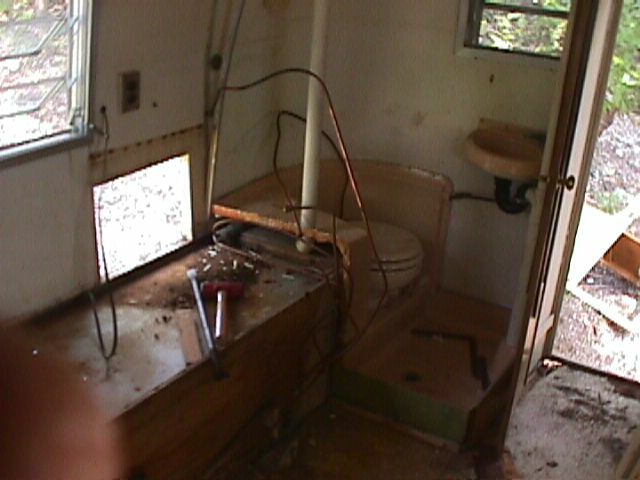 These are views inside where the wood and cabinets have been stripped out. 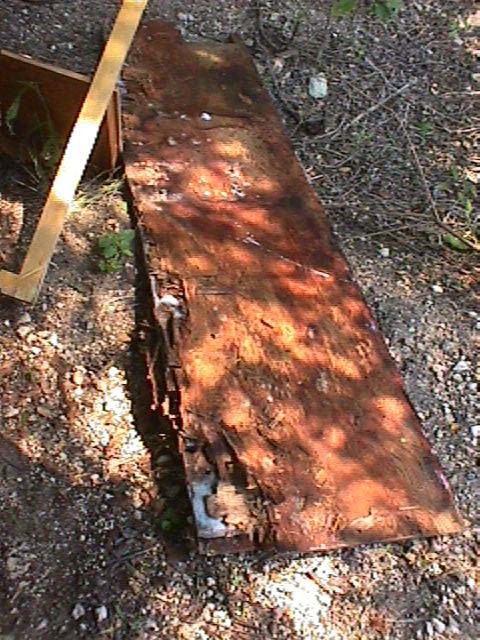 This is the remains of the wood from the "wing". It was made of a sandwich of plywood and styrofoam, with plywood around the edges. 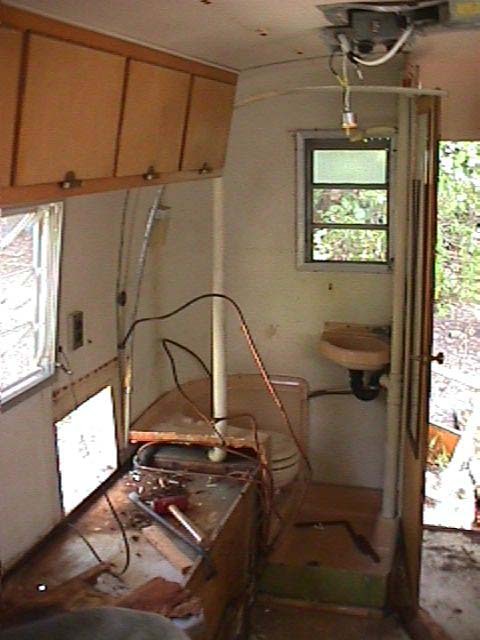 It served almost no structural purpose in it's condition. 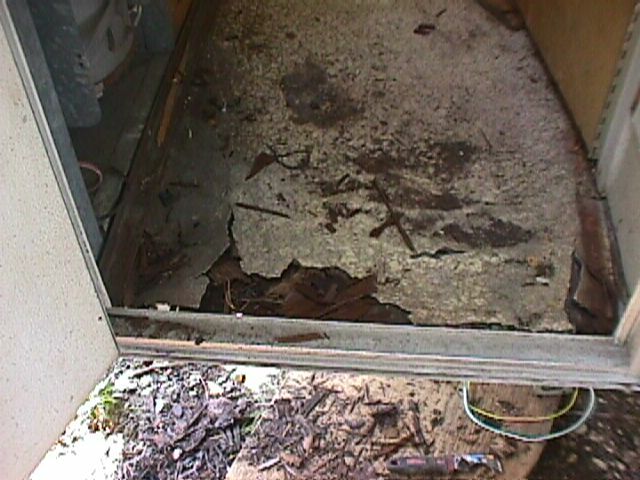 This is a view of the floor as it is now. 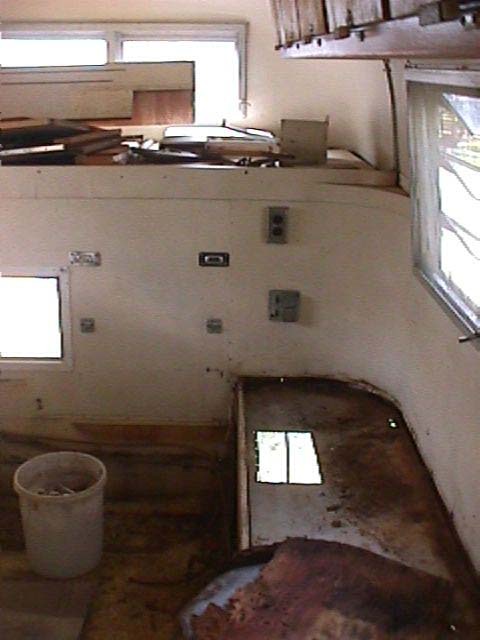 If you look close, you can probably see the dirt below the camper through the floor! Obviously, the floor is going to be replaced. More to come as I have time and pictures. Page 2: Continuing the rebuilding of the "Wings"